Jeff is an independent and objective advisor who specializes in helping clients own their futures by embracing the moments that shape them. As a Fiduciary and fee-only financial planner, Jeff is committed to being there when clients need him, and only when they need him. To Jeff, the only measurement of success is how well he helps each client control their own financial futures. Jeff’s services extend to virtually every transition, making him uniquely able to address the individual challenges and opportunities of life-changing moments. When you work with Jeff, you work with a talent that has earned the confidence of clients all over the Chicago area. While he has access to a variety of financial tools, Jeff doesn’t sell pre-packaged solutions. He doesn’t confuse clients with industry jargon. He simply offers the objective, informed guidance with step-by-step simplicity that can help turn any life transition into a life opportunity. 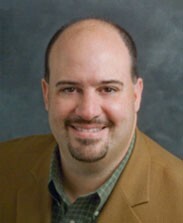 Jeff Kostis has earned some of the industry’s highest designations to ensure that clients receive the comprehensive advice they need, including the CFP® (Certified Financial Planner), CPA/PFS (Certified Public Accountant / Personal Financial Specialist) and CDFA (Certified Divorce Financial Analyst) designations.